This red is non-bleeding and has brick tone. In white bases it appears muted. "Not the red they show"
COMMENTS: I don’t know how the photos they show to sell this look so red, but this is like a brown-red. I regret not just buying a sample but the pics fooled me. When i blend this with a combo of other reds I have I can sometimes achieve a decent red, and when that fails I just add gold mica. I find that gold mica can cover a multitude of sins! COMMENTS: A bit disappointed in it not being a true red but that’s not what the description says either. It is a really nice, I’m going to call it, Brick Red. Nothing wrong with it at all. COMMENTS: Before now been getting pink. Love this red. COMMENTS: This is a brick red to merlot red in CP soap. Easy to use and nice that it's a liquid. "LOVE THIS COLOR OF RED!" COMMENTS: Love this color! It is so hard to find a red that gives a real AMERICANA RED result. This one I love! It is not too dark and does not give you a pink hue when used! REAL AMERICANA RED! 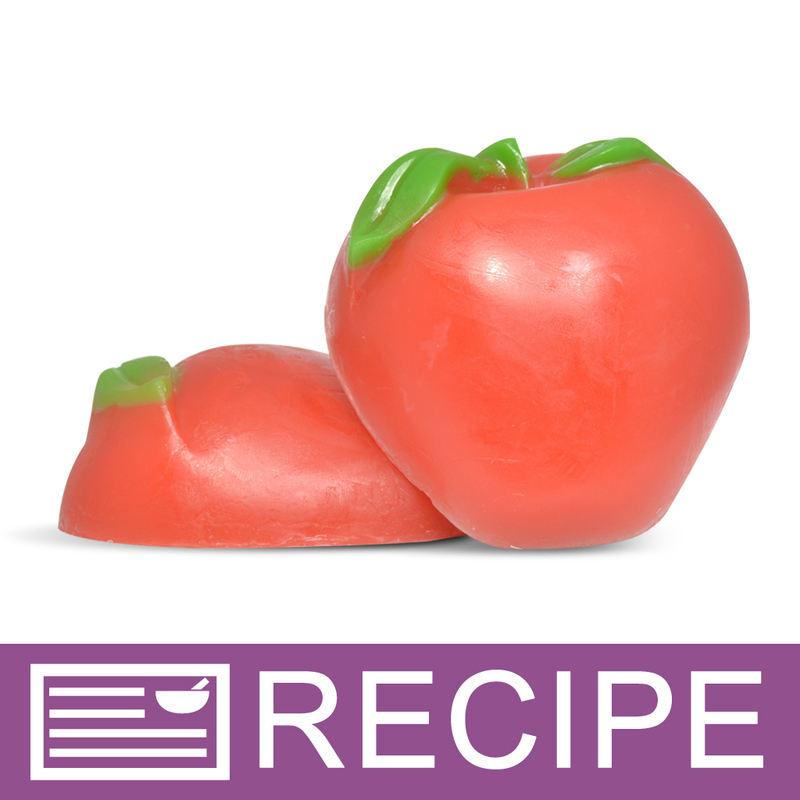 COMMENTS: I added this to a batch of liquid suspension soap with pearlizer and it made a beautiful soft pink color. I have had my body wash in heat and in the cold car and I have not seen any form of separation or changing of the color. I really like this and will buy again. COMMENTS: I really like this liquid pigment,it was very smooth and easy to blend in with M&P soap base plus the color was the perfect shade of American Red. COMMENTS: Love the color! We know micas are best for bath bombs, but I confess, I tried using this and it still works great if not using much. I recommend for the great color alone! beautiful! COMMENTS: I'm sure I'm not alone when I admit that I would love it if I could find a true RED color which wouldn't migrate/bleed. This is a nice color, but more of a brick red than what I would deem a true red. COMMENTS: Used in m&p soap was hoping for a deeper brick, more of a strawberry coloring. No odor, and easy to use. COMMENTS: I like these, too. No mixing involved. COMMENTS: I'm in love with Matte Americana Red Liquid Pigment!! "Use this to achieve a gingery peach"
COMMENTS: This is a wonderful red. It will deliver an autumnal shade, a muted Christmas red for more rustic looking Christmas products, and when just a bit is used, a lovely, gingery peach. WSP Response: If you are looking for a colorant that will not bleed try any of our Mica Powders. COMMENTS: Pre-mixed and easy to use in m&p. Love this stuff! COMMENTS: This is the best red colorant that i have used. Gave me a perfect bright red in my cp soaps, as well as in body wash. A little goes a long way and the liquid form is easier to use than the powder in my opinion. COMMENTS: Perfect red and so simple to use! Liquid pigment is my favorite! COMMENTS: Nice color! I thought it might be too dark of a red but it looked great with some glitter added. "Matte Americana Red Liquid Pigment"
COMMENTS: I usually use the color blocks, but when I need something quick this is perfect to use. COMMENTS: Good color. Great price for natural product. Wish it was in a bottle instead of a jar!!! • Great price!!! Great product!! • Please put product in a squirt bottle. COMMENTS: I bought this liquid red color because the red oxide was out of stock. I called to ask how much to use to get the equivalent shade I got with the powdered oxide but was told there was no way to tell so I used about 3 times as much and it was the palest pink. If you want red in your cold process soap, DON'T buy the liquid color, buy the dry oxide! COMMENTS: I use this in many products and it performs well. Like the description says it is matte and I have to spice it up with glitter to make it shine & stand out. It doesn't bleed and that is a wonderful thing! I found a bar left over from Valentine's Day and the red heart has not migrated through to the other colors. COMMENTS: This is my first try with a liquid color. It performed very well. 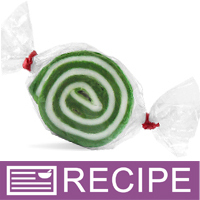 Great color control, mixes in well in cold process soap. I was looking to save time in color prep and this works well. You dont have to mix a color first before adding it. I started with small amount and added until I got the color I needed. Makes a nice pink. "Easy to use. Quick and simple"
COMMENTS: Love this product. Easy and simple. Colors come out great. COMMENTS: I love this red, it always turns out great. You can make it as light or as dark as you want. I always keep it on hand and it holds up really well in CP soap. COMMENTS: This is red that is hard to describe. It's not an orangey-red...but it's not a true red. Nice color though. "Matte Americana Red Liquid PigmentI like the muted"
COMMENTS: I like the understated color. 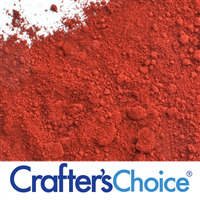 The pigment is economical as it will color many pounds of melt and pour. COMMENTS: Very pretty red. Also a beautiful pink if only a few drops are used. COMMENTS: This produces a perfect red without being orangey or brick red. 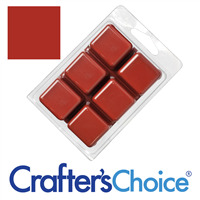 COMMENTS: I got this as a free sample and used quite a few times in CP soap, each time making a different shade. It doesn't bleed, and the color turns out really nice for the soap. COMMENTS: This creates a very beautiful rich color. I adore it, will buy again! COMMENTS: It makes a lovely pink in my white MP bases. It's not a "true" red however, more of a brick red. Now that I have the mini mixer I will probably just buy the powder version from now on. 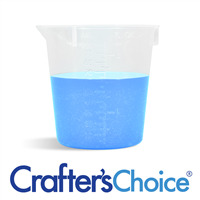 "great for hot process soap making!" COMMENTS: This pigment blends beautifully! I need more! COMMENTS: Used for a column pour in a CP soap recipe. Dispensing is somewhat messy when removing from the wide-mouth jar, but a good product nonetheless. The liquid is easier to control color with than the pigment, in my experience. "Matte Americana Red Liquid Pigment "
COMMENTS: I think the name of this color - americana red, is a bit misleading. It is more like a brick red or rusty brown color. Still, it is perfect for when you want a brown/red color! My only complaint is that I hate the twist off container this comes in. It makes it more messy to use. Other than that, great product! COMMENTS: I went with a liquid this time because I was having trouble getting the powder to mix in well. Still having trouble with the liquid mixing in. It seems to speckle in the soap. Not sure why. I will try mixing into the oils at trace instead of when the soap is finished and see if that helps. On a different point you don't need to use lot to get the color you are going for. WSP Response: For cold and hot process soap we recommend the mixing the pigment powders with a small amount of reserved oils and adding at trace. Our Mini Mixer works great to easily blend the color into the reserved oil. "AMERICA! AMEEERICA! I CHOOSE YOU!" COMMENTS: I'd 'vote' for this color in a U.S. election any day! This is a truly Red American Flag color, great for my 'red white and blue' product line. COMMENTS: So easy to use and gives a beautiful color in my lotions! COMMENTS: I wouldn't use this one for a what I think of as a true Christmas red, but a very pretty brick red. COMMENTS: Used 9 drops to make a beautiful shade of pink MP soap (1 lb). Lovely pink color that I used with the Fresh Cut Roses fragrance as well as some crushed dried rose petals. COMMENTS: WOW! what a pretty red! I needed something to add to my flag soap. this was the perfect color! "Great color; doesn't fade or bleed!" COMMENTS: The small jars these colors come in can be difficult to use, but a glass eyedropper works well. This color mixes well and I didn't need much to achieve great results. This is definitely a keeper! "I have a few questions having reviewed this product. 1. Will this keep water dyed? If yes, will it the water be clear enough to view particulate within it such as glitter? 2. Will this product stain materials it is encased in for long periods of time (minimum time-frame 6 months)? If yes, to what degree does staining occur? Thank you for your time. I look forward to your response." Staff Answer This is not a dye so it will not color the water in the way you are seeking. You will want to look at the stained glass liquid dyes. All colors if applied in excess risk dying materials. Understood. Thank you for your help! "If I use this color in bath bombs along with polysorbate 80 will it then color the bath water?" Staff Answer If you would like to color the water, we recommend using Stained Glass liquid dyes. Those will disperse throughout the water. "I have your shower gel base and need a colorant that will not sink to the bottom. Would these colors be a good choice and will the color separate from the base? Thank you! " Staff Answer For shower gel, the best colorant would be our Stained Glass Liquid Dyes. These will not sink and will mix beautifully into your product. "If you made bath bombs with this, could they be sold?" Staff Answer Yes, these colors do not need to be batch certified. "Will these pigments color bath water when used in bath bombs? " Staff Answer Since the liquid pigments are mixed with glycerin, they may sink to the bottom of the tub. We recommend using the pigment powders which will mix better into the water. "Can this be used in Bath Bombs as well? I am looking for a Glycerin base color to add to my bombs. I have a customer that does not like the Mica's." Staff Answer Yes, this can be used in bath bombs. "Are any of the liquid colorants good to mix with one another? Example red and yellow is it really making orange, red and blue am I really going to get a violet/ purple..."
Staff Answer You can mix liquid colors together. You would want to test in a small batch before adding to your larger batch of product. "would these liquid pigments work in soy candles to color?" Staff Answer We do not carry any colors that can be used in candles. That is a specific coloring made for candle wax. "hello what are the colorants for cold process soap there is lots of colors like micas, oxides, pigments i don't know which do best with cold process soap "
Staff Answer Hi Sandeep - When looking for colorants for CP soap making, look for ones that are "High pH Color Stable" this means they can withstand the hot temperatures of CP. 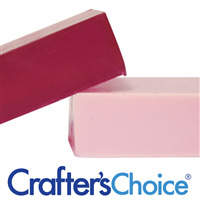 Here are a list of colors that can be used in CP soap, Click Here. "Will the Liquid Pigment bleed when soap is used?" Staff Answer It will not bleed in mp soap. "When making lotion (using the process of heating & then pouring) which is better to use, liquid color or powder? I am new to lotion making and would like to know before ordering. " Staff Answer Powdered colors added directly to a lotion base may clump. I would recommend using liquid colorants. If you use powder colorants they should be mixed with glycerin or your fragrance oil before adding them to your lotion base. "Would these be ok to use for lipstick? " Staff Answer As stated on the website Matte Americana Red Liquid pigment may not be used in eye or lip products. "What color media is the best for melt and pour soaps. I use about 1/5th of a cube of color per 40 oz of soap. The colors turn out beautifully and then after more than a week, I am getting a lot of fading. Now I am aware of the lighting issue. Will I need to display (or store) my soaps in a dark cabinet?" 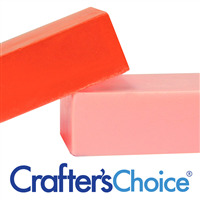 I personally feel the Crafters Choice Soap Color Bar's work wonderfully. If you get anything that has glitter in it is lends amazing results. I love to Mix the Matte colors with the Soap Color Bars - Sparkling Mica to give all my soaps a extra little kick in color and shimmer. "Can I use the liquid pigments to color bath salts?" I have used this pigment in particular with bath salts and received a great end product. Just remember that a little goes a long way. Add one drop at a time until you achieve your desired color and then test to see if it leaves a ring of color in your bathtub. "I currently use the pigment powders to color my sugar Scrubs which consist of oils. Would the liquid pigment work? " Staff Answer This color is Dispersible in Water, not oil. It would most likely separate from the oil in your scrubs. "Would this be considered a "natural" (non-toxic) colorant? If not, what products do you have that are? " Staff Answer The only ingredients in this color are "Glycerin, Iron Oxides" which most consider to be natural. If you would like further information I would recommend doing research on how oxides are obtained and processed. 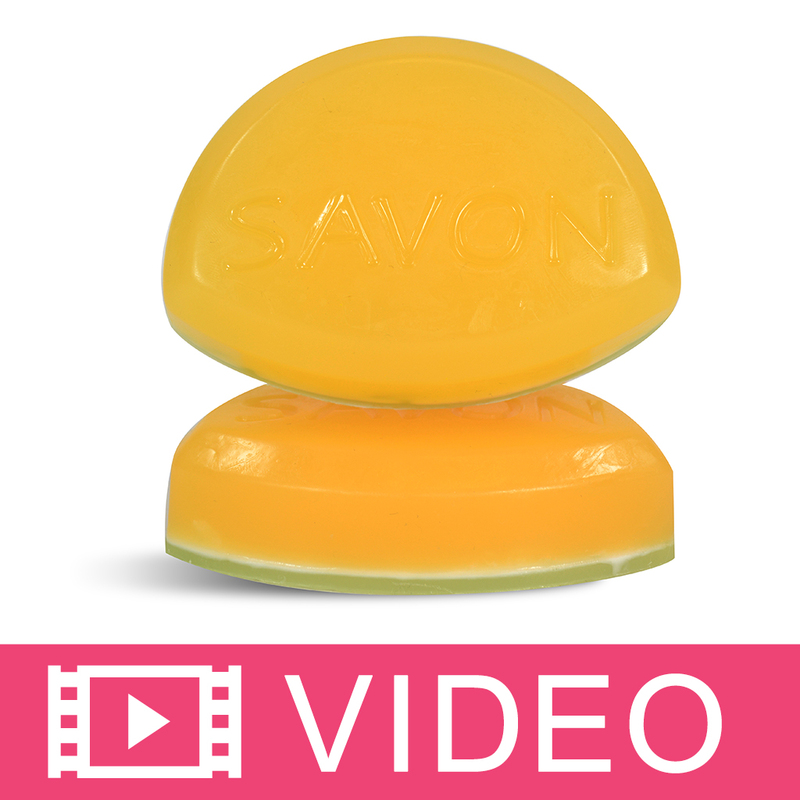 "What does it mean when it says that the color will not remain transparent in clear base soaps? Will it become opaque?" Staff Answer Good question. The Pigment colors are deeper, and not transparent. So like the picture shown, in a clear base you will not be able to see through the bar or have a transparent look. This color will become opaque when adding it to a white base (see picture).